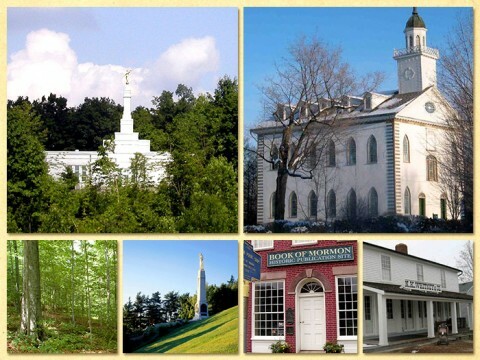 Click here for a full listing of all our Church History Tour dates and itineraries. October 7: Today you will fly to Rochester, New York. Once you arrive, a shuttle van will be waiting to transfer you to our hotel. We will hold a short fireside this evening and discuss our upcoming trip itinerary. October 12: Today we will transfer to the Cleveland, Ohio airport for our flight to Kansas City, Missouri. Once in Missouri, a chartered bus will be ready to take us to the hotel to get checked in. For those that are interested, we will attend the Kansas City Temple this afternoon. We fly to Kansas City to avoid a 10 hour bus ride, plus it keeps the sites we visit in chronological order. (Breakfast provided) This flight is INCLUDED in the price of the tour. 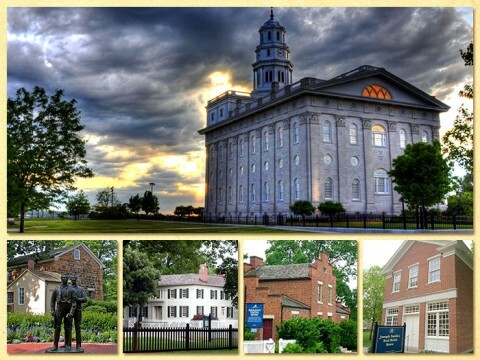 Join us for a spiritual journey to the sites of the Restoration as we visit Palmyra, Fayette, Susquehanna, Kirtland, Independence, Liberty Jail, Far West, Adam-ondi-Ahman, Nauvoo, Carthage Jail, and so much more! Hear the stories and read the revelations at the actual sites where they took place. Be taught while traveling and while visiting these sacred sites by historical guides, set apart missionaries, and each other. We won’t just talk about the history of these places, but how the stories of the past can help us draw closer to the Savior in our everyday lives! 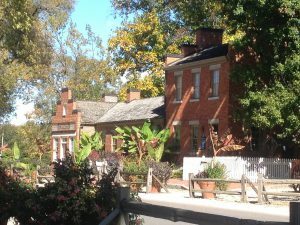 Prices include: Deluxe chartered bus, all hotels, airport transfers, almost every meal, cold bottled water each day, personal tour guide, on bus history lectures, the flight between Ohio and Missouri, and all fees. Price does not include airfare to Rochester, NY or from St. Louis, MO. Please see below for additional airfare information. 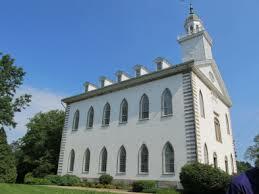 Join Tom Pettit and visit the LDS Church history sites of Palmyra, Kirkland, Missouri and Nauvoo. Learn more about Tom by visiting his Blog, visiting our Video page, and by visiting our About Us page. Hear Tom tell the stories and teach the revelations at the actual sites they took place at! 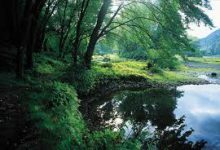 Tom’s unique focus on these tours is not to just teach the history, but to help you draw closer to the Savior by applying the lessons learned from these historical events to your own daily life. 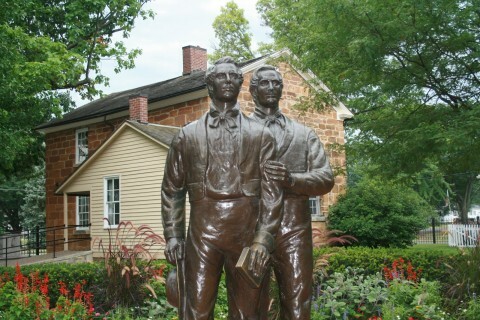 Tom has become a student of the information taught on this and other LDS Church history tours. He has been teaching the gospel to youth and adults continuously for the last 18 years by serving as a youth Sunday School teacher, an Elders Quorum presidency councilor, Ward Young Men’s Presidency councilor, Stake Young Men’s Presidency councilor, Gospel Doctrine teacher, Mission Prep class teacher, and counselor in the Bishopric. He is the author of Adam-ondi-Ahman: Sacred History. Promised Future. and is a frequent guest speaker at Learn Our Religion. Tom served his mission in Australia. He and his wife Lesa have five children and live in Lehi, UT. Booking Requirements: A $350 initial payment, per person, is required to confirm your reservation. This $350 is applied to your total balance due. Your $350 payment can be paid when completing our online Registration Form. Please contact us if you would prefer to pay by check. A complete quote can be obtained by contacting us. Terms and Conditions: All Rates are per person and based on hotel room occupancy. Prices listed are cash/check prices. If you would like to make your final payment with a credit or debit card, please add 2.9% for the bank’s transaction fee. 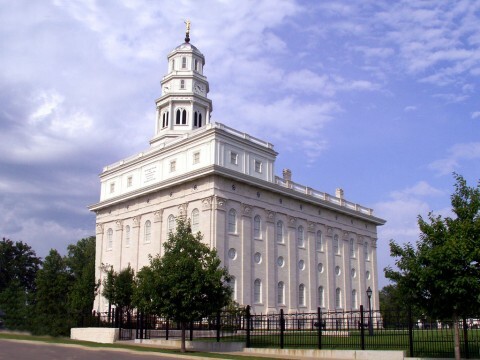 Temples: You will have the opportunity to attend the Palmyra Temple, Kansas City Temple, and the Nauvoo Temple. Flights: We do not require that you fly with the group. We can help you locate the best price and the best itinerary for your flights, but you will ultimately book directly with the airline carrier. When you land in Rochester, we will have a shuttle van waiting to take you directly to our hotel. The price of this shuttle is not an additional expense to you. We will arrange and pay for the shuttle for you. Headsets: We have found that headsets for this tour are unnecessary. Our bus is equipped with a microphone and speakers which our guide will utilize for easy listening. 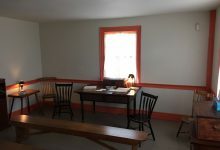 While at each historic site, the onsite missionaries will divide our group into smaller groups which allows each person the opportunity to be near enough to the speaker to not require a headset. Plus, headsets tend to give more trouble then worth so we make sure you can hear clearly hear every spoken word without the use of a headset. 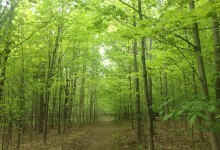 Niagara Falls: There is a disadvantage to adding Niagara Falls into the itinerary. Including the Falls as part of the tour requires a deviation from the chronological order of visiting the Church History sites. It also requires an extra day, which requires extra expense. For those that wish to visit Niagara Falls, we encourage you to fly to Rochester a day early and visit Niagara Falls on your own or with a local tour company. We can coordinate with our hotel in Rochester for your early check in so you don’t have to switch hotels once the tour begins. Just let us know if you want to see the Falls and we will help you get there! 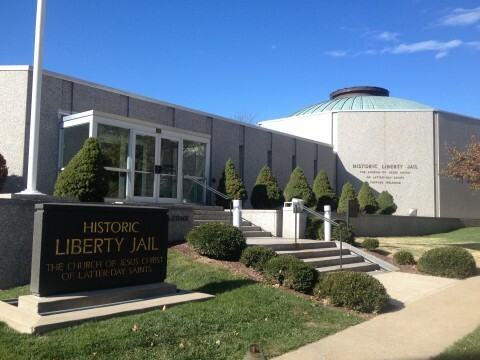 Click Here to read what others are saying about our Church History Tours.